Motorola Latest Interview Questions Technical and HR For Freshers. Motorola Latest Interview Questions Technical and HR For Freshers. Latest Motorola Interview Questions For Freshers And Experienced. Common Motorola Technical Interview Questions. Differentiate between Macro and ordinary definition. Differentiate between Class and Structure. What is testing and maintenance? What is a hard real time OS? Give some examples of Linux open source software. What is sliding window protocol? Some questions were asked about data structures and its applications. Questions on technologies, like Data mining, Cloud computing, App Development etc. In depth questions regarding the data structures and the Databases used in the Projects developed. What are the three things your friends will tell about you? Do you have any preferences about joining any of the given branches of the organization. Have you had any leadership experience before? Are you interested in any other profile apart from this one? Why do you wish to join Motorola? 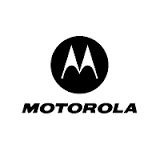 0 on: "Motorola Latest Interview Questions Technical and HR For Freshers."